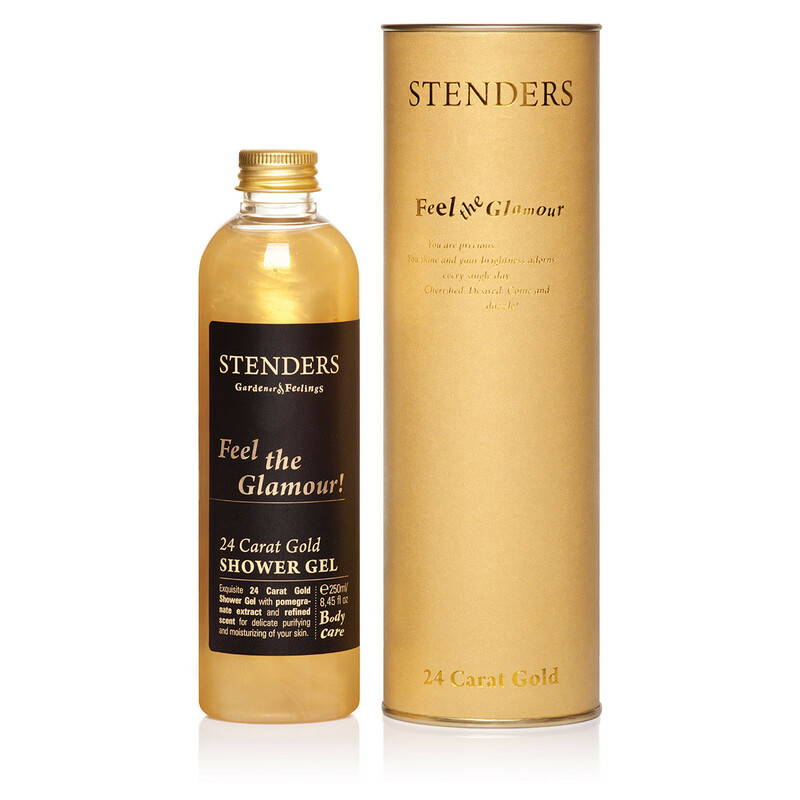 Gold Shower Gel purifies, moisturizes and softens your skin particularly gently. The contained valuable 24 carat gold broken down to small particles penetrates the deepest layers of skin to take care for your youth accurately cell by cell. Already in Ancient Egypt the wives of pharaohs used gold for cosmetic procedures. Combination of modern technologies and natural treasures provides even more efficient product for your beauty. For excellent effect we added the extract of pomegranates full of Southern warmth, a rich source of antioxidants. Exquisite designer fragrance will leave elegant bouquet of scent on your body. Afford restoring power of gold every day! Make shower gel foam on your skin or sponge for gentle skin purification. Suitable for all types of skin.